Jypyä Pop (Turku, Finland) on 12 January 2019 in Cityscape & Urban and Portfolio. Well made working documentation. Looks pretty cool. The water spout is very busy today. a great image !!!!!!!! Well done !!!! There is a lot going on in that busy place. @B. Thomas: There was testing time. 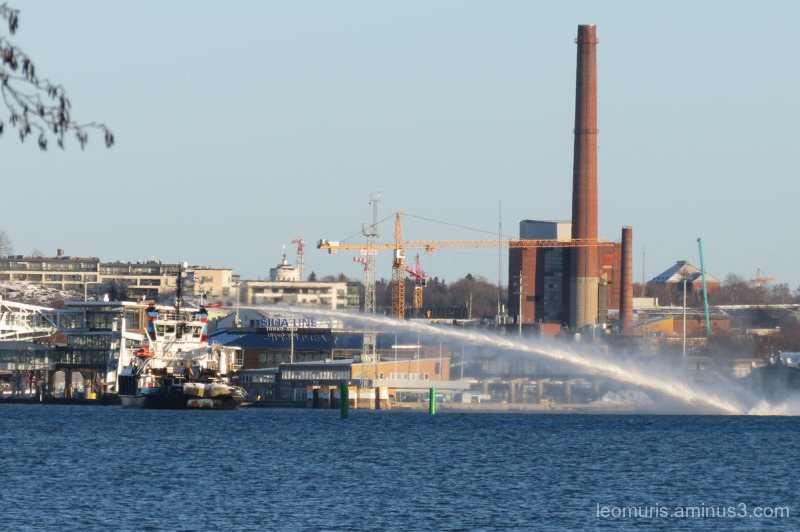 The fire boat must be testing its pumps. Pretty shot.